The conclusion of the special counsel’s report that President Trump did not conspire with Russia all but assures that Mr. Trump’s political fate will be determined at the ballot box next year — and that Democratic voters already consumed by electability will become even more singularly focused on finding a candidate who can defeat the president. With House Democrats now far less likely to impeach Mr. Trump, and Senate Republicans certain to resist removing him if they did, the president will be judged in a 2020 race sure to revolve more around his performance in office than how he won in the first place. That may disappoint some Democrats, who believe that the Russian interference on Mr. Trump’s behalf in the 2016 race makes his presidency illegitimate, but it offers the party a chance to oust him through democratic means that could prove harder to dispute. 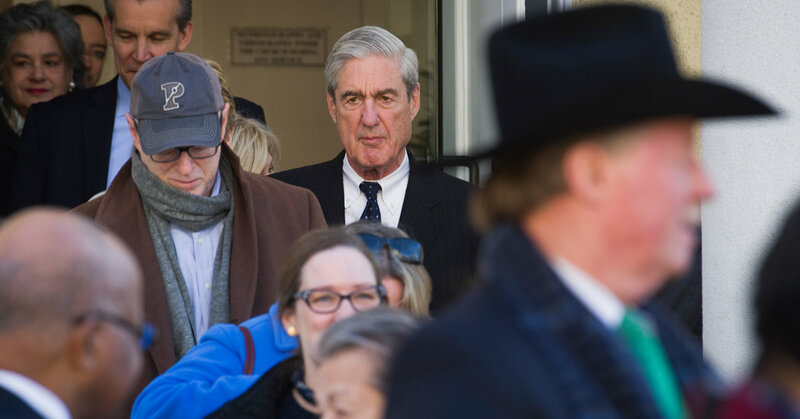 Even as the candidates lining up to take on Mr. Trump demanded Sunday that Attorney General William P. Barr release the full report by Robert S. Mueller III, some top Democrats urged them to abandon the idea that the president will be removed through investigations, and instead focus on the promises they say he has failed to keep. Republicans moved swiftly on Sunday to portray Democrats as unrelenting Javerts hunting their Jean Valjean. What has been top of mind for the party’s rank-and-file is finding a candidate who can defeat Mr. Trump. And the perception of viability will become only more of a coveted attribute now that the president heads into his re-election campaign with poor approval ratings but cleared of colluding with a foreign adversary, an allegation that had clouded his administration for almost two years. “We’ve got to run campaigns on health care and taxes and beat Trump on the issues,” said Anne Caprara, who steered Gov. J.B. Pritzker of Illinois to victory last year. “Well, he is a typical politician: He didn’t drain the swamp and he didn’t bring back the jobs,” she said. But while the deepening bond between conservative voters and Mr. Trump will solidify his political foundation, it will make it more difficult for Republicans in heavily suburban states and districts to separate themselves from the president next year.